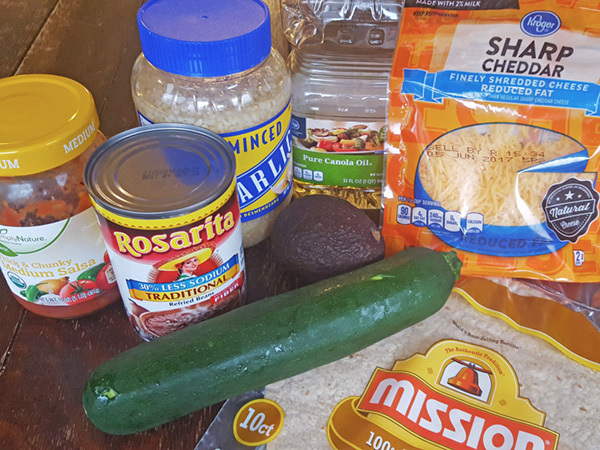 Our Zucchini, Bean & Cheese Burritos are not only super easy, healthy and fast to make they are less than $1 per serving! This month’s Recipe Redux is about eating well on a budget. Let’s face it, we are all concerned about feeding our families well without blowing our monthly budget. This is where plant proteins, specifically beans and lentils, come into my weekly menu planning. Beans and lentils are full of fiber, protein and other great nutrients, not to mention very affordable. Canned beans are of course very convenient and can be purchased for less than $1 a can often times. To save even more money, you can purchase dried beans and then cook yourself. A 1-pound bag of dried beans is often around $1 and yields the equivalent of 4-5 cans of beans. Of course more time is involved, but by using either a pressure cooker or a slow cooker, I’ll make beans when I have some extra time on a weekend and then freeze them in 1 1/2 – 2 cup servings to quickly use another time. While sometimes I create meals just with the beans or lentils, other times I made add them to meat in a dish to stretch the meat further, thereby cutting back on how much meat I need to buy and letting my food dollar go further. It’s also a great way to boost the nutrition of a dish or introduce beans to any reluctant eaters at your table. Our Slow Cooker Beef and Bean Tacos and our Slow Cooker Pork Roast and Black Beans are the perfect examples for this money saving, nutrition boosting technique. 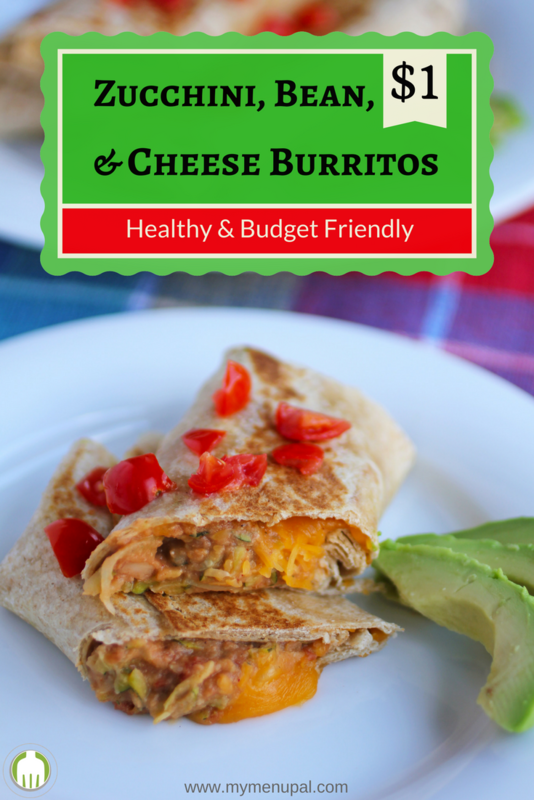 But for this month’s challenge on budget eats, I am sharing my Zucchini, Bean & Cheese Burritos recipe I came up with a while back to be both wallet friendly, as well as kid and make ahead friendly. It is also super fast to make, which is another bonus. Better yet, I like to make a double batch, then individually wrap and freeze the leftovers so we have a fast lunch or dinner on hand whenever we need it. With all of the after school activities and sports we do, this really comes in handy when we need a fast dinner on the go. Heat oil in a large skillet over medium heat. Add grated zucchini and garlic to pan. Sauté for 5 minutes. Add refried beans and salsa to pan and cook until heated through. Place about 1/3 to 1/2 cup of filling on one side of tortilla. Sprinkle with one tablespoon of cheese. 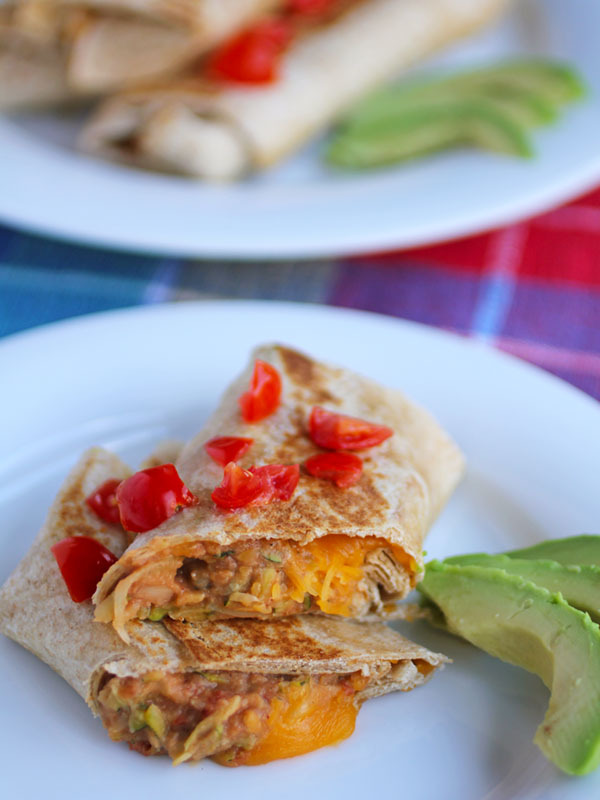 Fold in the sides of the tortilla and then roll into a burrito. Set aside and repeat with remaining tortillas until all of the filling is used. Wipe out the skillet used for the filling and spray with cooking spray. Put over medium heat then place burrito in pan and brown for a minute on each side. This step is optional and could be skipped if preferred. 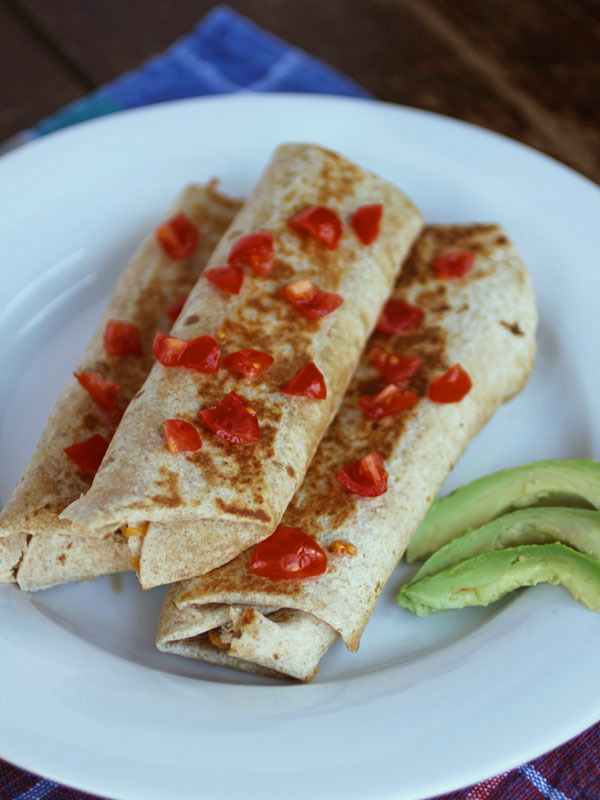 Serve burritos with chopped avocado and salsa. Use the large holes on a cheese grater to quickly grate the zucchini. 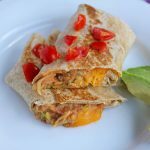 Make a double batch of these easy burritos and freeze the extras for a quick meal when you need it. 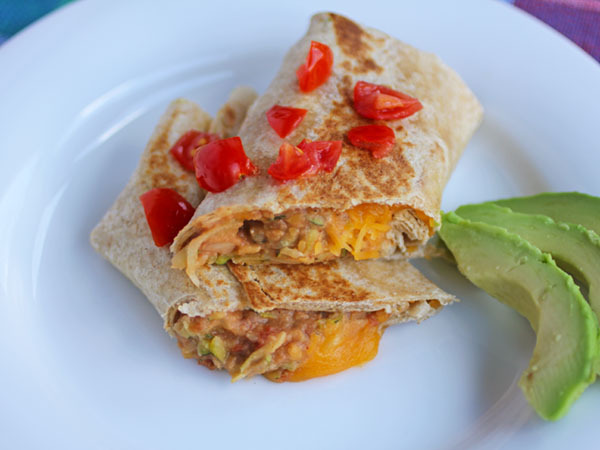 Nutrition Nugget: These Zucchini, Bean and Cheese burritos have more nutrition “punch” than you would think. One serving is a good source of calcium, vitamin C, and iron. Being a “good source” means that the recipe includes 10-19% of your daily needs of that particular nutrient.